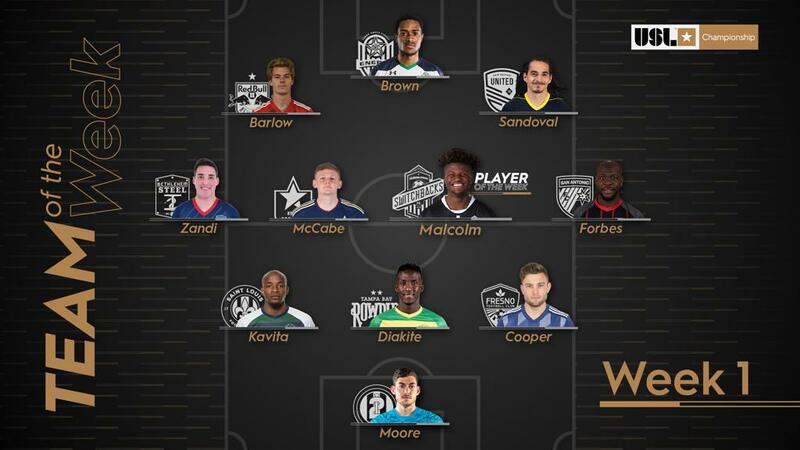 TAMPA, Fla. (March 12, 2019)– North Carolina FC midfielder Tommy McCabe was named to the USL Championship Team of the Week for Week 1 of the 2019 season. McCabe made his professional debut and scored the game-winning goal in North Carolina FC’s 4-1 victory over Louisville City FC. Additionally, Marios Lomis, who recorded one goal and one assist, was named to the bench for the Team of the Week. 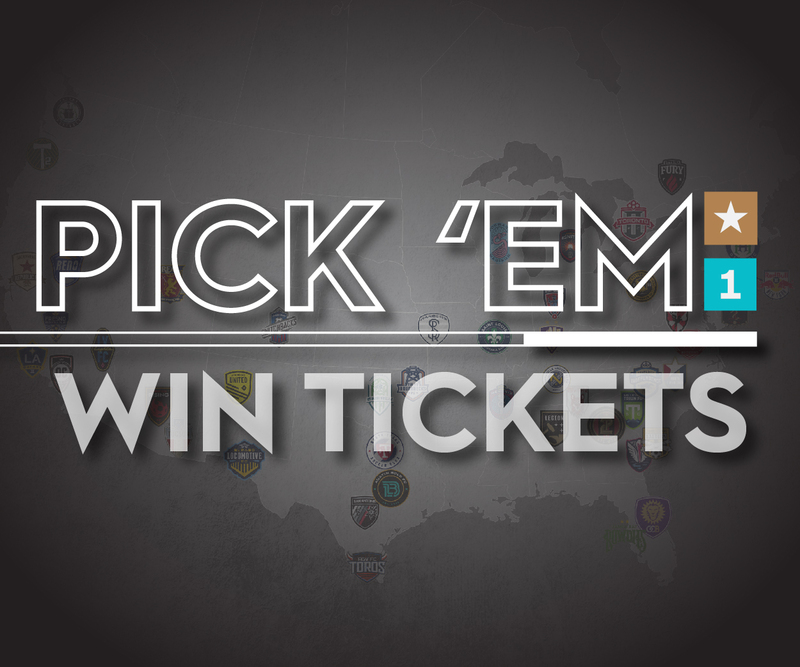 North Carolina FC will face Bethlehem Steel FC at Talen Energy Stadium in Chester, Penn., on Saturday, March 16 at 7:30 p.m. The team will return home to feature in a Friendship Cup doubleheader the following Saturday. The NC Courage will host Orlando Pride in a preseason match at 1 p.m. before NCFC faces Club Necaxa of Liga MX in an international exhibition at 3:30 p.m. Tickets can be purchased here. GK – Brendan Moore, ATL UTD 2:Moore recorded a six-save shutout as Atlanta opened its season with a 2-0 victory against Hartford Athletic. D – Phanuel Kavita, Saint Louis FC:Kavita scored the game-tying goal and recorded six clearances as STLFC rallied for victory against Indy Eleven. D – PapéDiakité, Tampa Bay Rowdies: The center back recorded 13 clearances, won 11 of 12 duels and 8 of 9 aerial duels as the Rowdies earned a road shutout in Memphis. D – Alex Cooper, Fresno FC: Cooper recorded the assist on the Foxes’ goal, finished with three key passes overall and won 3 of 4 duels in Fresno’s 1-1 draw with New Mexico. M – Zach Zandi, Bethlehem Steel FC: Zandi scored the second goal in Steel FC’s victory against Birmingham while also completing 37 of 42 passes in his professional debut. M – Tommy McCabe, North Carolina FC: McCabe notched what proved to be the winner on his professional debut in NCFC’s 4-1 win against Louisville and completed 30 of 34 passes overall. M – Billy Forbes, San Antonio FC: Forbes scored a fine goal, recorded two key passes and completed 12 of 14 passes overall in SAFC’s 3-3 draw with Phoenix Rising FC. F – Deshorn Brown, OKC Energy FC:Brown scored the second-fastest goal in Championship history after just 12 seconds, then added a second in a 3-1 win against El Paso Locomotive FC. F – Devon Sandoval, New Mexico United:Albuquerque native Sandoval scored the first goal in New Mexico’s history as the expansion side earned a 1-1 draw with Fresno FC. ©2019 North Carolina FC / SportsEngine. All Rights Reserved.